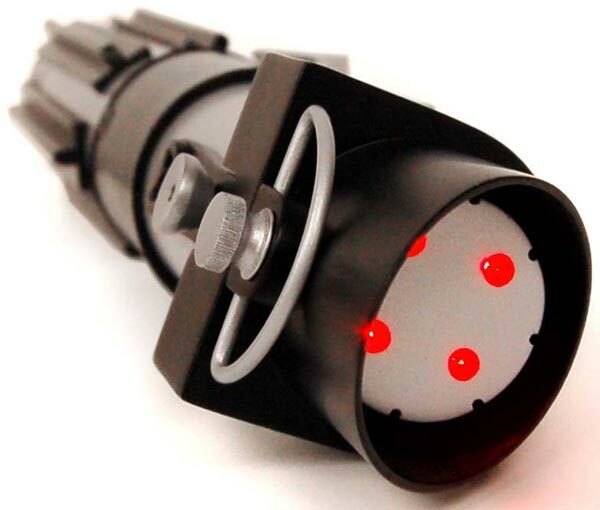 This has to be the geekiest flashlight we have seen so far on geeky gadgets, the Darth Vader Lightsaber Flashlight. 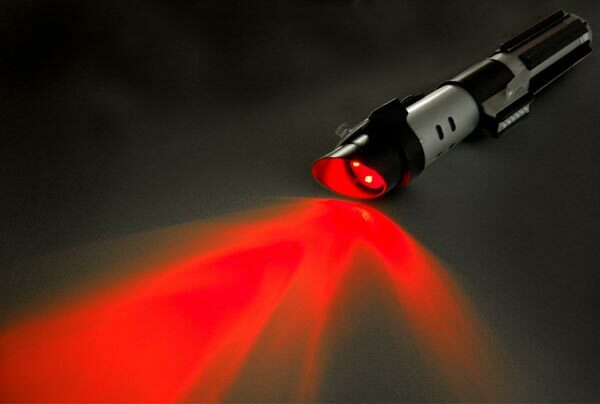 This fun flashlight is a replica of Darth Vader’s Lighsaber and it measures about 9.5 inches long, it has four built in bright red LED bulbs and even has it’s very own Star Wars sound effects. 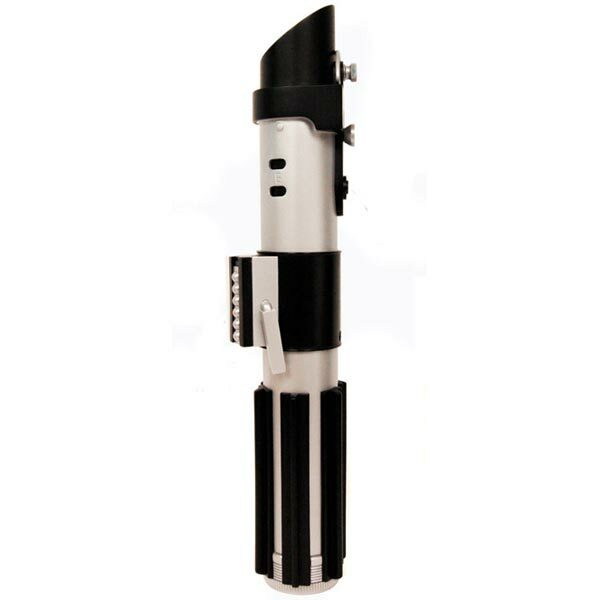 If you want one of these cool Darth Vader Lightsaber Flashlight’s they are available for $24.99 from the Star Wars shop, this would definitely be great fun the next time you have a power cut.